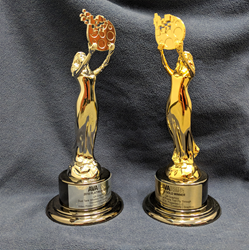 QA Graphics, a full-service digital design company, is the recipient of two AVA Digital Awards in the Video Production/Creativity/Graphics category for their Dual Tank Whiskey Flask video and The District of Prairie Trail Fly Through. QA Graphics, a full-service digital design company, is the recipient of two AVA Digital Awards in the Video Production/Creativity/Graphics category for their Dual Tank Whiskey Flask video and The District of Prairie Trail Fly Through. The purpose of the AVA Digital Awards is to identify and recognize outstanding achievement by creative professionals who are involved in the concept, direction, design, and production of digital media, and whose work serves as a benchmark for the industry. Winners were selected from over 2,500 entries worldwide. QA Graphics has over a decade of experience in 3D design and animation. By working with QA Graphics, Discommon Goods (Dual Tank Whiskey Flask) and D.R.A. Properties L.C. (The District of Prairie Trail) each gained a custom video to use as a marketing tool to showcase their unique product design and commercial development space. Comparably, producing these high-quality videos has allowed QA Graphics to demonstrate their talents to a variety of clients. The design team brought photos, CAD images, video clips, and schematic designs to life, thus creating attention-grabbing, animated, 3D graphic representations. A list of Platinum and Gold Winners can be found on the AVA Digital Awards website at: http://www.avaawards.com.